This teacher is happy for MLK Jr. Day and snow days making for a very short week! 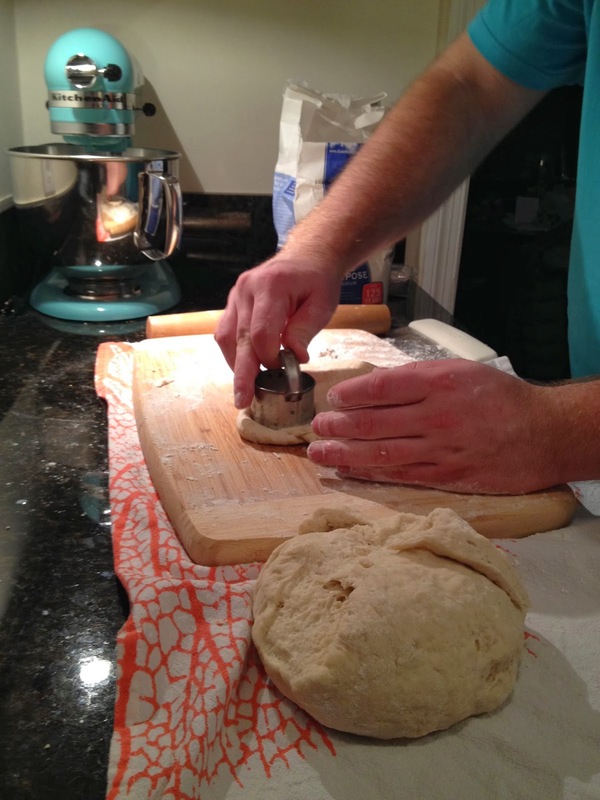 Today I am sharing a recipe for pimiento cheese ham biscuits. I posted about these on Instagram a few weeks ago and got many recipe requests. 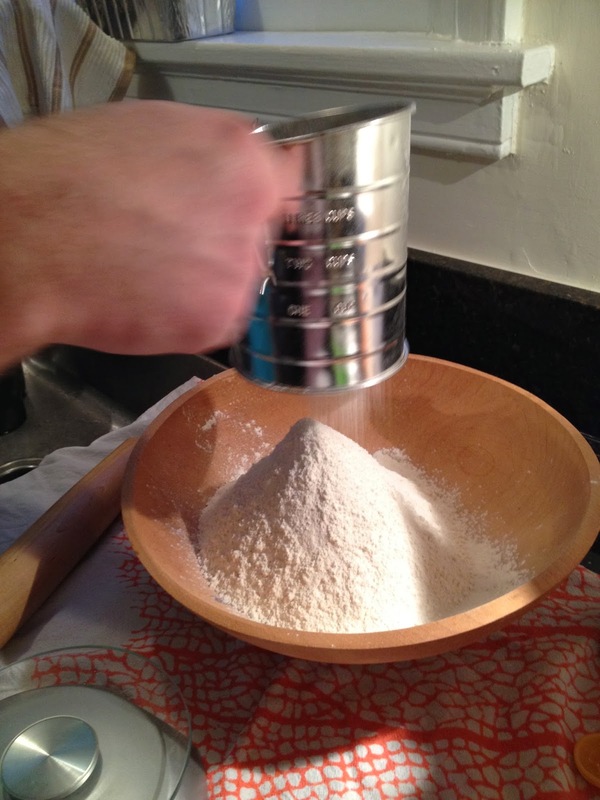 Sift flour and combine with baking powder, salt, soda, and sugar. 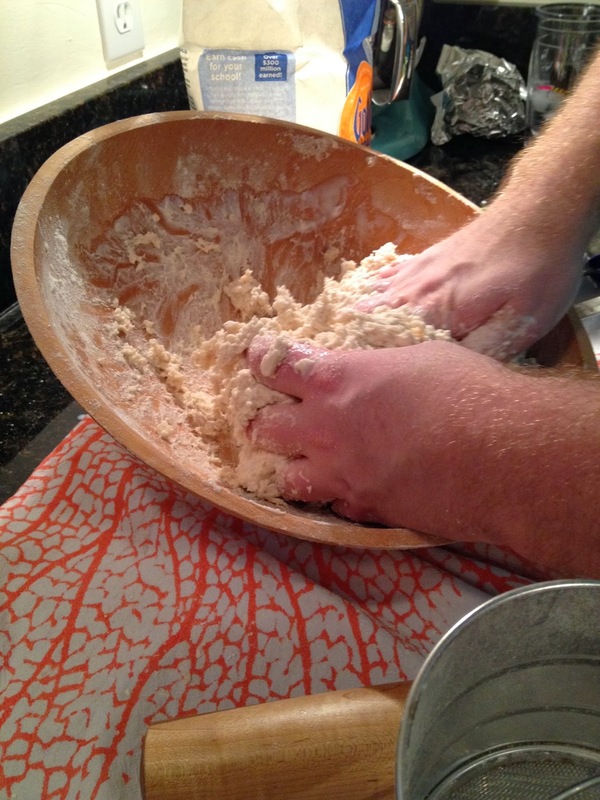 Mix in the Crisco with a fork until crumbly. 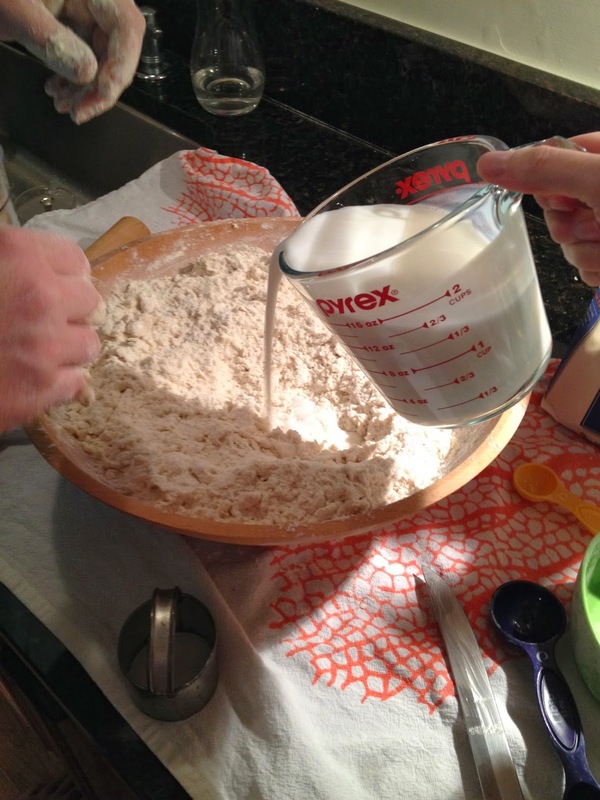 In a measuring cup, mix dry yeast package and water. 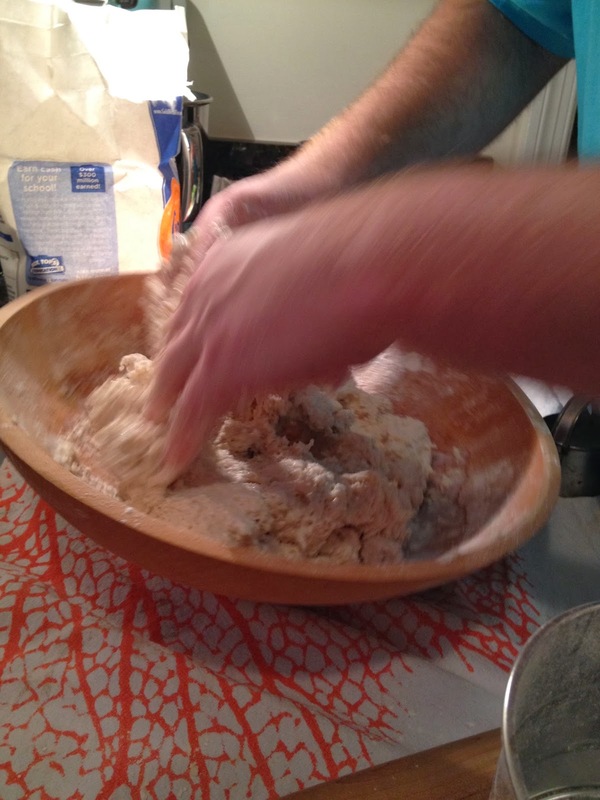 Add this to the dry mixture. 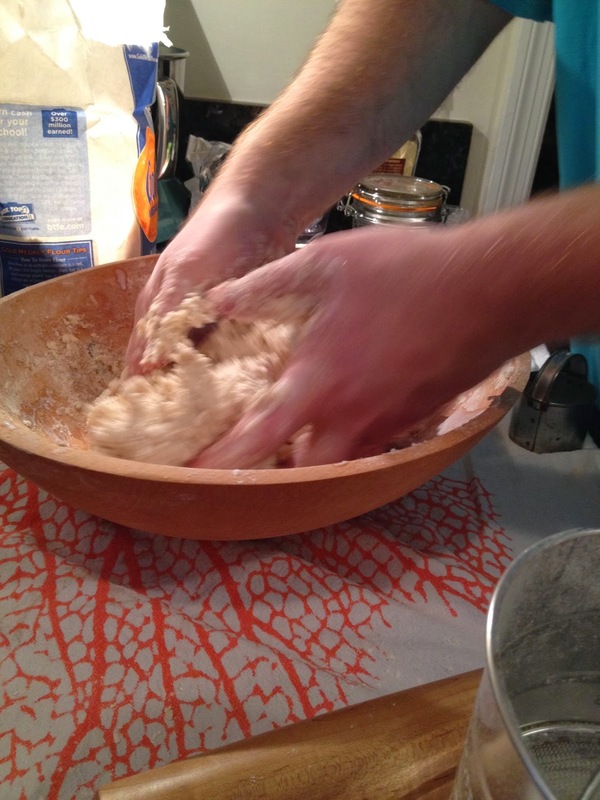 Mix until smooth and elastic. 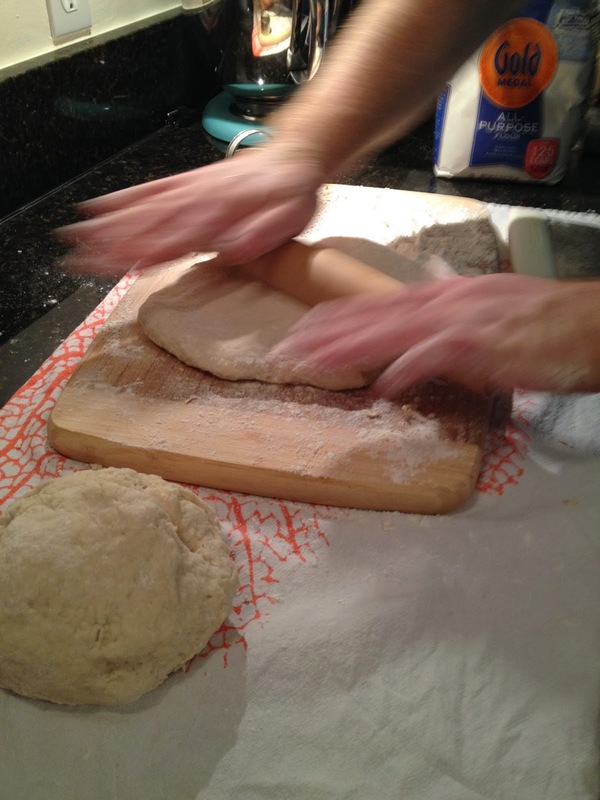 Roll on floured surface and use biscuit cutter to make biscuits. 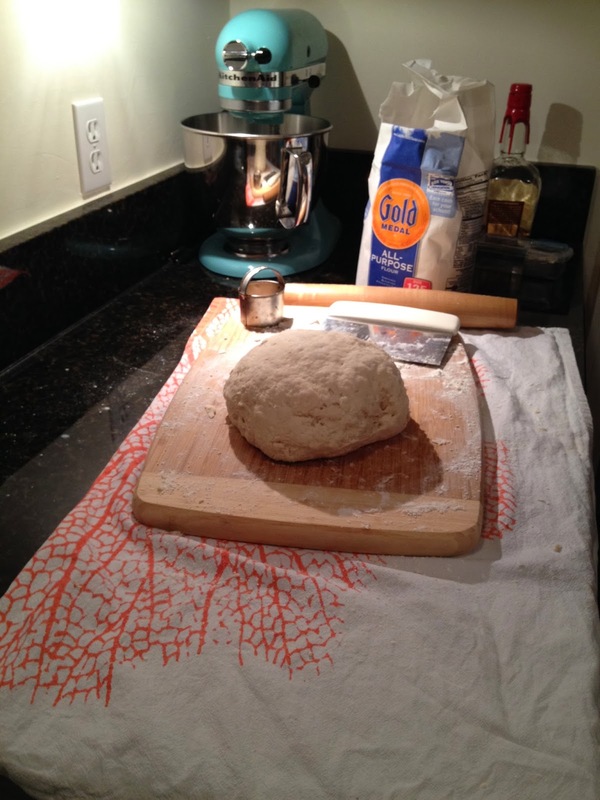 Allow to rise ~15 min. 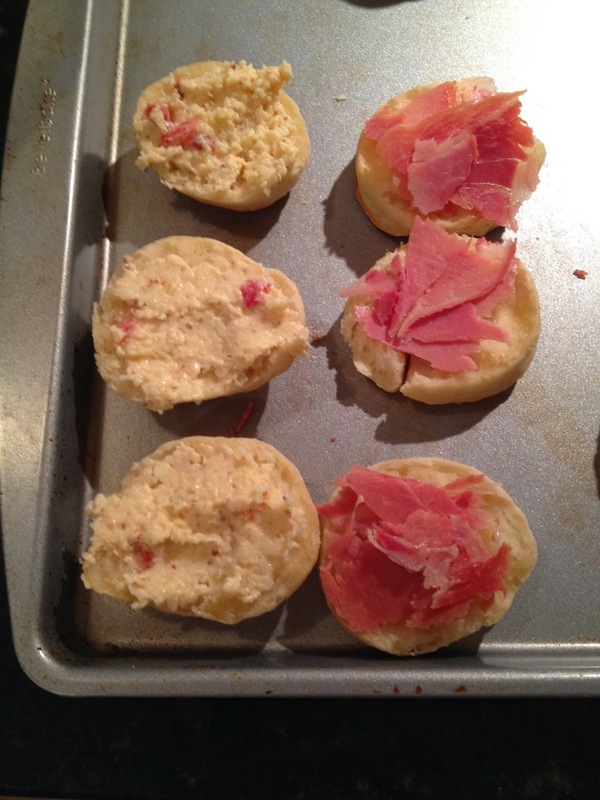 Butter and add thin slices of country ham. 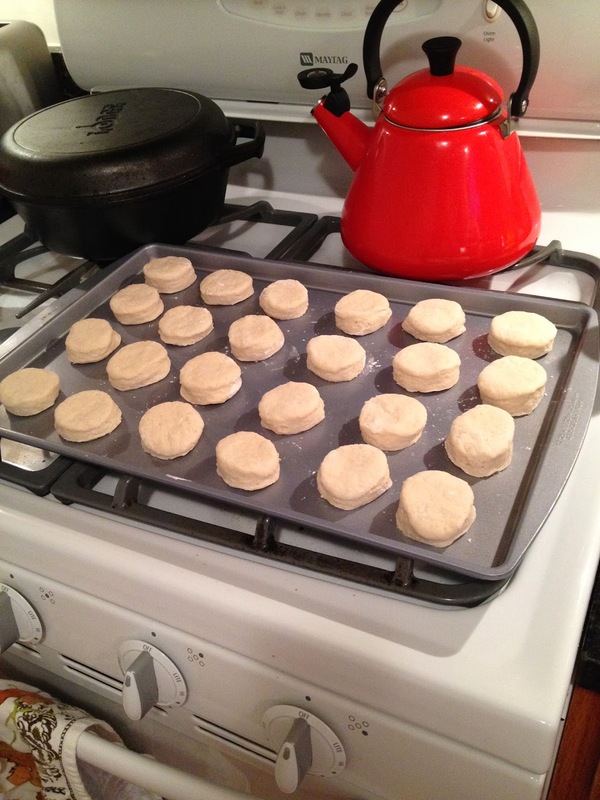 *This makes about 40 mini biscuits and the unused dough can be stored in the fridge for up to 5-7 days. Now, friends, the recipe could stop right there. 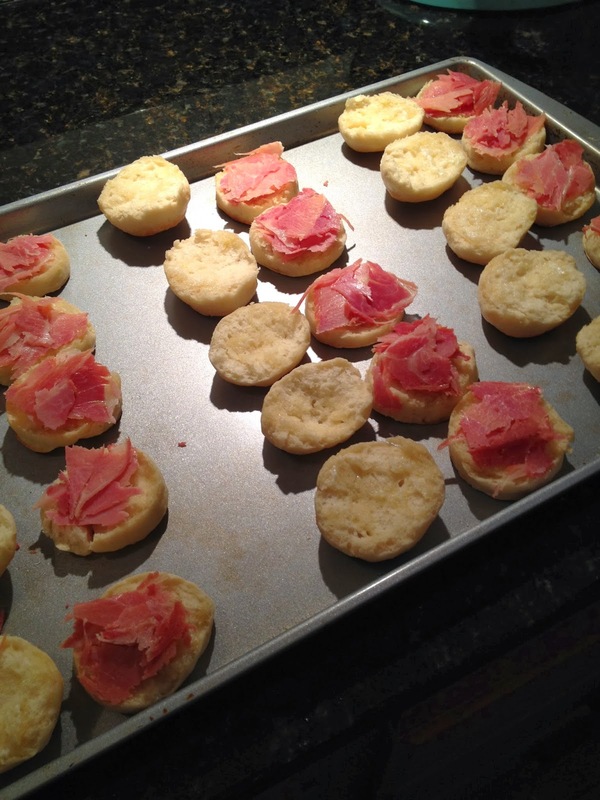 These are the ham biscuits Bryce's mom makes and they are my absolute favorite. 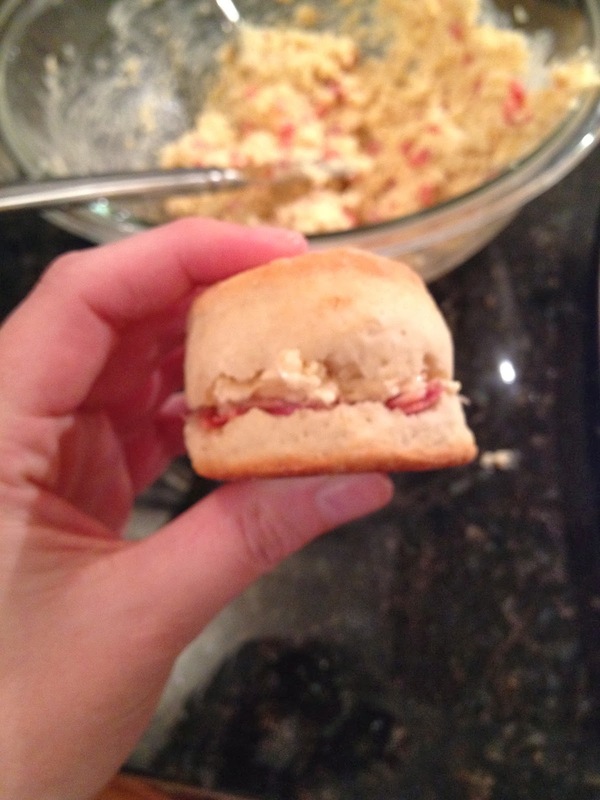 I wanted to do something a little more creative, though, and thought why not add some pimiento cheese to the biscuits? Below is my favorite pimiento cheese recipe, though you could easily use store bought if you're in a pinch for time. As always, any alterations I make to the original recipe are italicized. Serve immediately, or cover and chill up to 3 days. These were delicious and a huge crowd pleaser...so many people at the party asked for the recipe! What are your favorite Southern comfort foods? Those looks sooo delicious!! YUM! Yay! I have been waiting for this recipe since you posted the photos on Instagram. 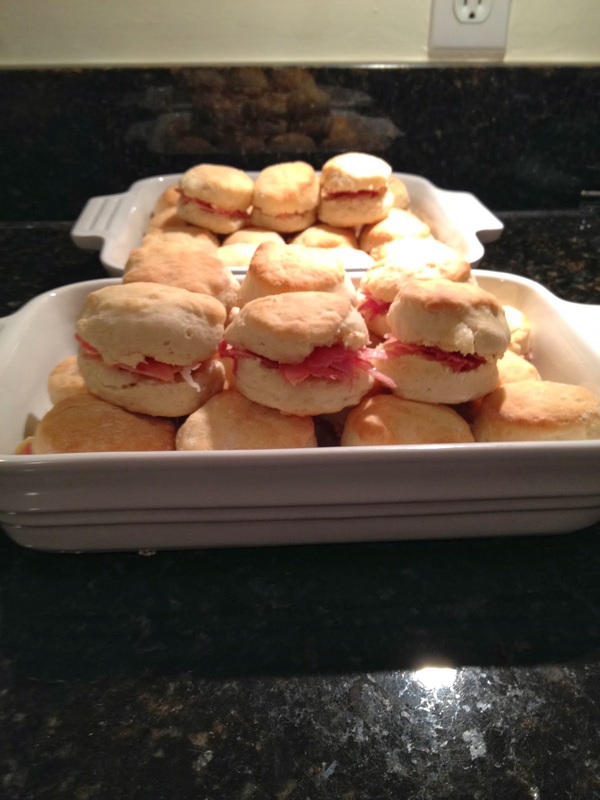 Country ham biscuits are some of my favorite and these look delicious, might have to make some for a Superbowl treat! These looks absolutely delicious - I'll definitely be making them soon!! Those look so tasty! I just love the combination of country ham and pimiento cheese. Yum! A perfect Southern appetizer or snack! oh my goodness…. I just can't. i'm obsessed with pimento cheese. 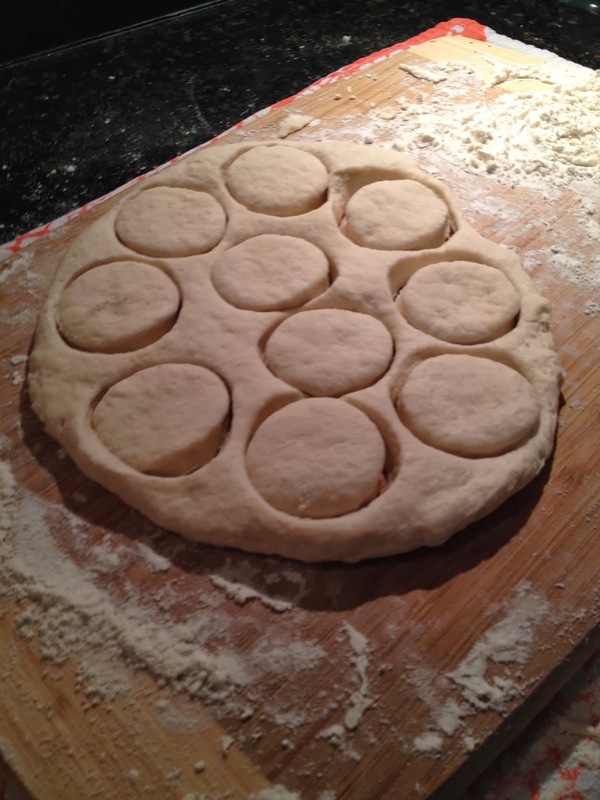 I need to make homemade biscuits one of these days these look so yummy! these look SO good. I will have to branch out and try your pimiento cheese recipe. mine doesnt have white cheddar but ive been wanting to try one with it!